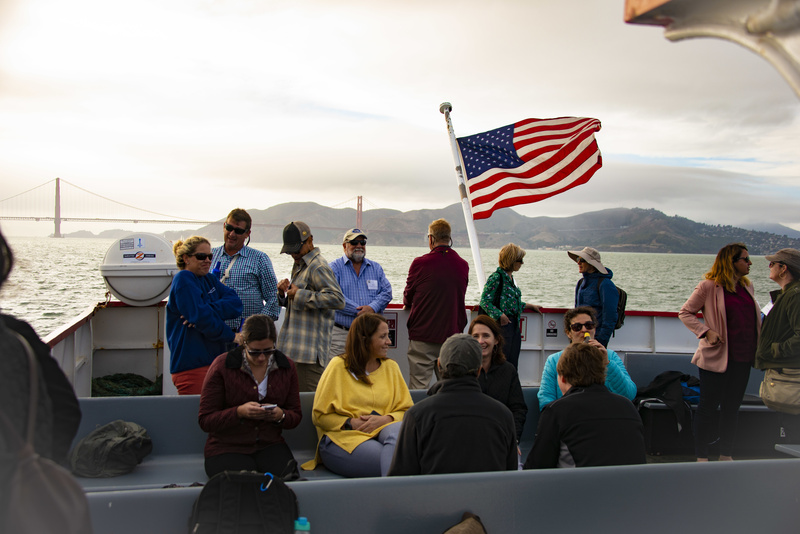 A boatload of estuary experts from around the country gathered on an early October day to tour the prettiest part of San Francisco Bay. They paid rather less attention to Alcatraz and the Golden Gate than to each other. In town for the National Estuary Program’s annual Tech Transfer Conference, they had come to compare notes and strategies from the 28 varied bays, bights, bayous, and river mouths that benefit from one of the nation’s most durable, and efficient, environmental laws. In 1987 amendments to the Clean Water Act, Congress proclaimed selected tidewater regions to be “estuaries of national significance” and offered money to help local coalitions take on environmental problems there. Through all the political gyrations since, a thin stream of funding, via the Environmental Protection Agency, has continued to flow to place-based programs with tiny core staffs and numerous collaborating partners. These doughty groups have helped work wonders in habitat restoration and pollution cleanup, learning many a lesson along the way. 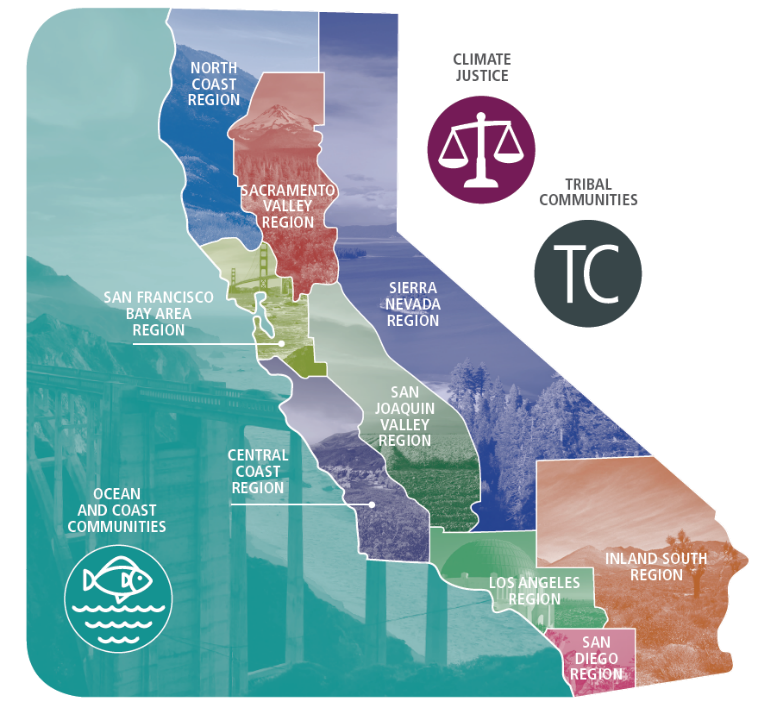 The yearly conference, hosted this time by the San Francisco Estuary Partnership, ensures that that knowledge gets shared. Click for interactive map and fact sheets. Listening in on the conversations aboard the Red & White Fleet’s Harbor Queen, I really “got” how different other estuaries are from our familiar Bay and Delta, and how smart Congress was to pursue national environmental goals through programs developed in, and for, one special region at a time. Some of these National Estuary Program target areas are urban, some rural. Some are vast, some quite contained. Certain estuaries, like ours, are feeling the effects of prolonged artificial drought as freshwater inflows are diverted for consumptive use. In others, water quality, not quantity, is the worry. Some have too much input of sediment and nutrients, while others struggle with unnatural shortage, as is the case in San Francisco Bay. Some estuary groups are riveted by one big problem — an iconic species in trouble, for example. Others, like ours, comb out priorities from a mat of interlocking issues. 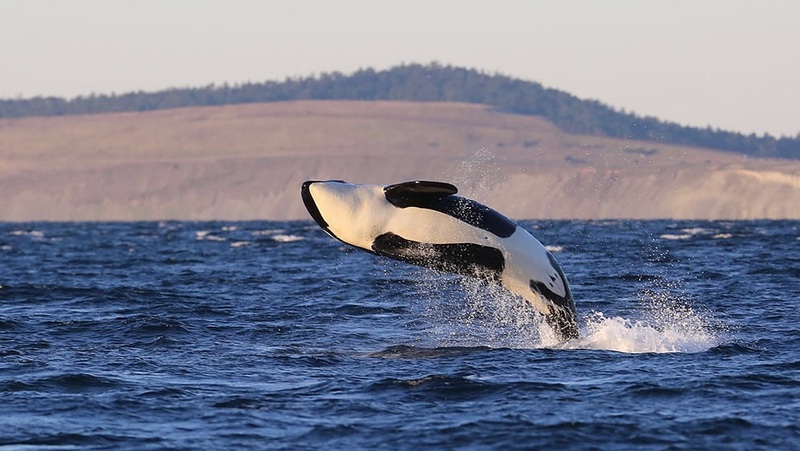 “Our world right now is seen through the lens of the orca,” says Sheida Shahandy of the Puget Sound Partnership. Dwindling numbers of the charismatic whale in this region have made national news. What’s doing the animals in, most obviously, is starvation: their decline tracks that of their prey species, the Chinook salmon. In this busy harbor and industrial region, food shortage is compounded by pollutants that build up in the animals’ fat; drawing on these reserves, hungry whales poison themselves. Swarming ships and whale-watching boats also harass the pods. Sahandy sits on a governor’s emergency task force that has just endorsed cuts in salmon harvest, a boost in hatchery output, and a temporary outright ban on Southern Resident Orca viewing tours. Lined up behind these are steps that could have been taken straight from the Partnership’s 2016 Action Agenda: an attack on pollution, notably from stormwater runoff; faster work to restore salmon habitat statewide; and long-term controls on maritime noise and harassment. Sahandy hopes that the current crisis will shake loose funds. “It’s not that we don’t know what to do,” she says, “But in the last three years, only 30 percent of planned actions could be carried out. I don’t want to be managing decline,” she adds. 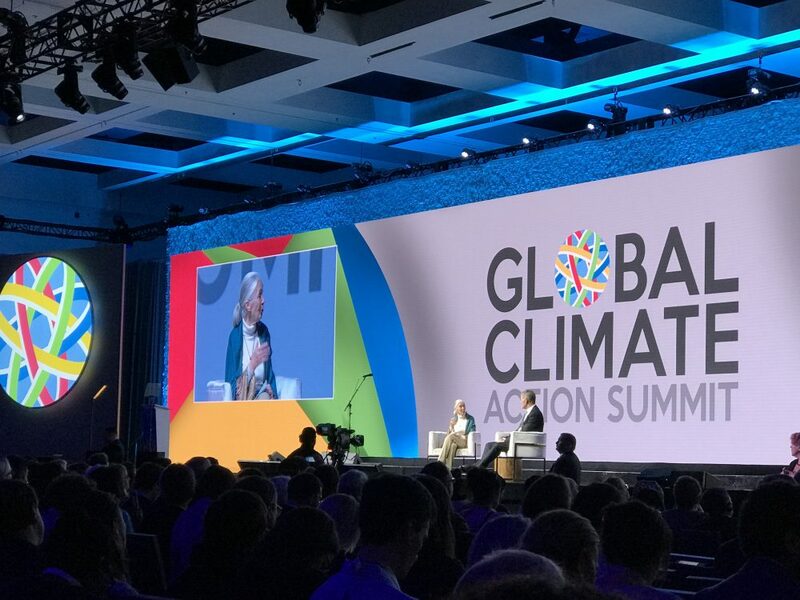 “I want to find out how to turn the dial toward actual improvement.” Ultimately that depends on confronting climate change and managing galloping regional growth. The Tillamook Estuaries Partnership in northwest Oregon covers the namesake bay and several others formed where rivers pool behind coastal dunes. Director Kristi Foster is celebrating a huge recent success: the restoration of 443 acres of tidal wetlands at the mouth of the Tillamook River, essential for habitat and to reduce destructive local flooding. Seventeen years in the making, this Southern Flow Corridor project is one of the largest and most complex restorations in the Pacific Northwest. “It’s a showcase for all of Tillamook County,” Foster says. Tides are muted in the bay, but sea-level rise is being subtly felt. In a reversal of the California situation, rising Texas waters tend to expand the marsh band, not erode it, as vegetation colonizes the hypersaline flats that lie upslope. One kind of habitat is replaced by another. Away from vulnerable urban cores, this region is fairly well positioned to adapt to an encroaching Gulf. Large ranches will make room for the waves, if only because acre-by-acre defense would be too expensive. “Thank God for the big landowners,” says Allen. Sarasota Bay, a fifty-mile-long lagoon on the southwest coast of Florida, is fairly new to the ranks of estuaries, having naturally lacked the freshwater input to qualify as one. In modern times, though, the bay acquired tributaries of a sort due to stream reengineering, urban storm runoff, and wastewater outfalls. With more water from the land came nitrogen and other nutrients, tending to overfertilize the bay. Among other accomplishments, the Sarasota Bay Estuary Partnership has succeeded in reducing nitrogen inflow by two thirds. But these days all local efforts seem overwhelmed by the devastating regional red tide, an overgrowth of the toxic alga Karenia brevis. While the affliction follows natural cycles, director David Mark Alderson suspects that continued cleanup could lessen future pain. “We’ve done a lot of really good work on reducing nutrient pollution along this coast, but it may not be enough.” A new initiative along the bay seeks to naturalize normal streams and shorelines, creating additional nutrient uptake and improving habitat for fish. The New York-New Jersey Harbor & Estuary Program oversees one of the nation’s most urbanized and polluted meetings of river and sea. It is also unusual in straddling two states; the nonprofit Hudson River Foundation provides the needed framework. Pollution is down in recent decades, but vast stocks of poison lurk in bottom muds, complicating wetland restoration work. The idea of bringing back oyster beds is popular, but scientists are just beginning to understand how to bring these efforts to scale. I sat in on a kind of New England symposium with staff from MassBays (the Massachusetts Bays National Estuary Program); the Piscataqua Region Estuaries Partnership (centered on the New Hampshire coast); and the Casco Bay Estuary Partnership (Portland, Maine). All three face a challenge peculiar to their corner of the world. For reasons not well understood, relative sea-level rise is greater in the northeastern US than anywhere else on the planet, and stands to happen sooner. While the more typical coastline, like ours, has some three decades left to prepare for the steeper phase of rise, the future in New England is now. “Where will the marshes go?” wonders Pam DiBona of MassBays. In her region, urban development often blocks the way. On up into Maine, rural river valleys have more room for rising tides, with such obstacles as roads, minor development, and a lack of public lands. The Great Marsh of Massachusetts has the added problem of sediment starvation. On the New Hampshire coast, though, mud is all too plentiful: dislodged by upstream development and harsher storms, it smothers valuable oyster beds. All three states worry about the decline of eelgrass stands, now at a fraction of historic levels. Asked “what keeps you awake at night,” Rachel Roulliard of Piscatacqua thought for a while and volunteered, “Honestly, it’s coordination.” It’s a perennial challenge everywhere. Estuary partnerships work by persuasion and education, not by exercising direct regulatory power. Every partnership, it seems, is feeling the need to widen focus beyond the classically “environmental.” Many are underlining the economic benefits of what they do, and several are reaching out to urban groups that have too often been left out of the conversation: the disadvantaged communities that have suffered most from past decisions and stand to be hardest hit by future changes like sea-level rise. The San Francisco Estuary Partnership’s Caitlin Sweeney sees an analogy with the “legacy” pollutants that lie in bottom muds: “Our estuaries have also inherited a legacy of environmental injustice.” Both must be confronted now.